A private country house in Buckinghamshire with its own 100-acre park, it was once home to Augusta, the Princess of Wales and mother of George III. Its royal connections and magnificent setting saw it named the number one wedding venue in Buckinghamshire by Brides Magazine. Its convenient location, just 26 miles from London, also makes it a popular spot for corporate events and team-building exercises. Often described as one of England’s finest Tudor manor houses, Dorney Court is full of historic curiosities from the 17th century priest hole to the balding ghost said to haunt the grounds. The estate near Windsor is popular with brides-to-be as it offers a range of wedding venues, including a 12th century church for those wanting a traditional ceremony. The Coach House Barn is a reinterpretation of a Victorian brewery and is a popular spot for parties while the Great Hall with its vaulted ceilings is ideal for those wanting a touch of grandeur. Built in the style of a French châteaux, Waddesdon Manor brings the fairytale charm of the Loire Valley to Buckinghamshire. Created in the 1880s as a venue for Baron Ferdinand de Rothschild’s legendary ‘Saturday to Monday’ house parties, Waddesdon has always been associated with celebration. Those planning a wedding or event now have three venues to choose from – the White Drawing Room inside the manor, with stunning views across the Vale of Aylesbury; The Dairy, a romantic private waterside building nestled within the impressive gardens; and the Five Arrows, a Grade II-listed former coach house. This Grade I-listed country house is set in seven acres of gardens and surrounded by 600 acres of parkland. The rural Buckinghamshire setting combined with a rich heritage make it a popular choice with event planners. The property dates back to medieval times and is a mixture of historic styles with distinctive Tudor chimneys and tall gothic windows. Those looking for settings for photographs will be spoilt for choice with picturesque features including walled gardens, stained glass windows and ornate wrought iron gates. The house can be exclusively hired for weddings so guests have free run of this unique property and its grounds. There is even a Bridal Cottage where newlyweds can start their married life in style. 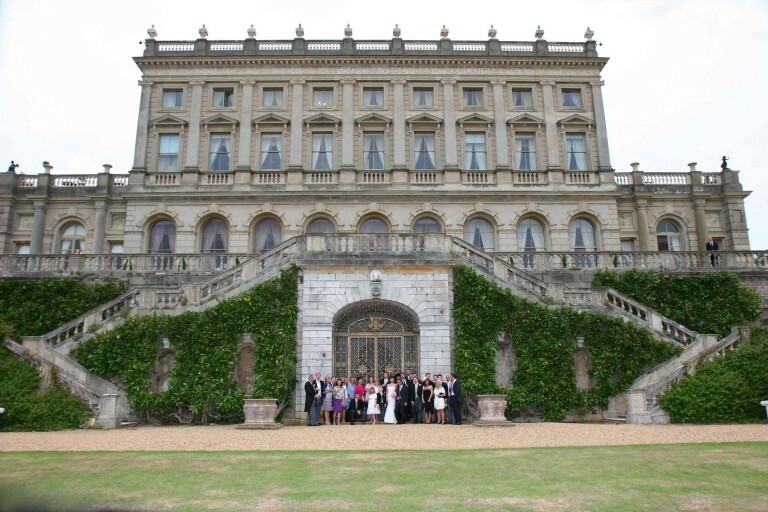 Make your own history by holding your event at Cliveden, a venue which has welcomed the likes of Charlie Chaplin, Winston Churchill and John Lennon. When it comes to settings for a celebration, they don’t get much more famous than this. From featuring in films to being the place John Profumo first met Christine Keeler, sparking off the notorious Profumo Affair, you will walking in the footsteps of some of the world’s most well-known figures. The stately home is now a luxury hotel which has just been renovated in an ambitious 16-month project to restore it to its former glory. Located in Berkshire, it has impressive views of the River Thames and is an ideal venue for people living in London who want to escape to the country for their big day. The iconic Stoke Park will make a memorable backdrop for a wedding or special event. Founded in 1908, this 300-acre Buckinghamshire estate is now the home of a luxury five star hotel, country club and spa. As a venue, Stoke Park offers privacy and discretion with no public rights of way anywhere in the grounds. With period features and rooms full of character, Stoke Park will give any occasion the wow factor. The hotel’s Pennsylvania suite is often where bride and grooms will choose to spend their wedding night and is best known for featuring in Bridget Jones’s Diary. With landscaped gardens designed by Capability Brown and 2,000 acres of parkland, it’s hard to imagine a grander setting than Blenheim Palace. This Baroque palace was built in the early 18th century to celebrate a British victory against the French in the War of the Spanish Succession. Seen by many as a national treasure, it is available for a variety of celebrations including weddings and corporate events. There are a number of unique and unforgettable locations at the palace including a champagne bar, The Great Hall and the Long Library, which is one of the longest rooms in any stately home in Britain. This country house in Oxfordshire combines eccentric charm with breathtaking features. 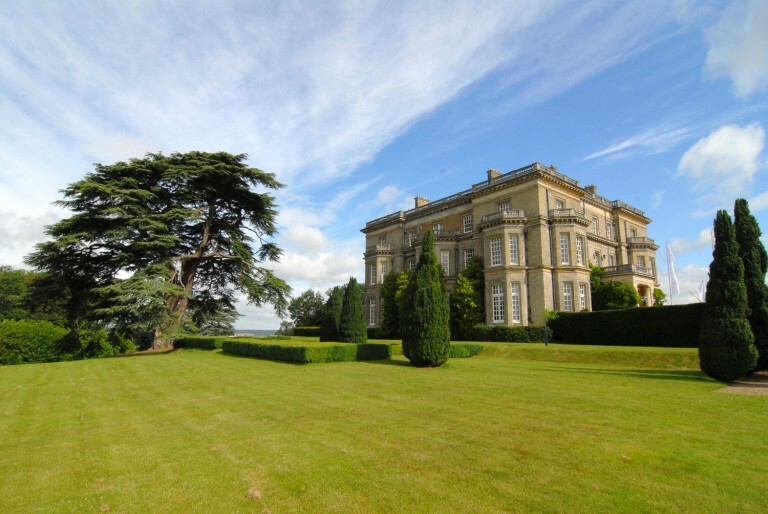 Available for exclusive hire, Aynhoe Park is a luxurious retreat which seems a million miles from the hustle and bustle of modern life. A 17th century Palladian house, it is now home to an eclectic collection of modern art and curiosities, making it a great choice for those looking for venues which stand out from the crowd and are full of character. Aynhoe Park comes fully staffed with a butler on hand to attend to the every whim of guests so no one has to worry about lifting a finger. This is a foodie’s paradise with dishes devised by celebrity chef Raymond Blanc as well as executive head chef Gary Jones. With food taking centre stage, there is even the option of having a traditional French croque-en-bouche created to make a show-stopping wedding cake. However, there is more to Le Manoir than its menus and its two Michelin stars. The intimate Oxfordshire hotel is licensed to hold civil wedding ceremonies and is set within stunning grounds which include orchards, an English water garden and an area known as mushroom valley. Just 18 miles from London, The Grove in Hertfordshire feels like it is a million miles from the city. The five star hotel, spa and golf resort once played host to Queen Victoria and is an attractive and luxurious venue for any celebration. Those planning a wedding, party or corporate event can choose from a number of stunning function rooms including The Amber, which has French doors which open out onto The Grove’s formal gardens; The Mansion, ideal for intimate wedding ceremonies of up to 35 guests and high level boardroom discussions; and The Potting Shed, a beautifully restored Victorian glasshouse. If you’re looking for a venue which ticks all the right boxes for your celebration, Papillon Events can help. We’ll turn your dreams into a reality with a setting which is right for you and deliver an event which is perfectly suited to your personal sense of style and your budget. Share the post "Ten of the best Home County venues for your wedding, party or corporate event"